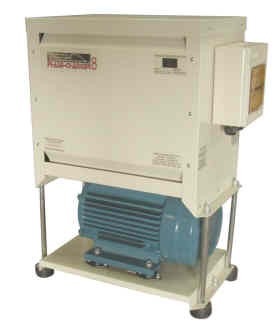 Please click here to see the VSD vs Rotary page for general information on the use of both technologies. We can package and pre-program these units to suit your application to make installation as simple as possible. In addition to the standard Inverter sytem, Phase Change Converters also have developed the unique Automatic Voltage Stabilised (AVS) Inverter which allows inverters to operate on very poor power supplies where singe phase voltage drops as low as 100V, while still providing 400V 3 phase output - suitable for operation of single motors. Click here for more info.